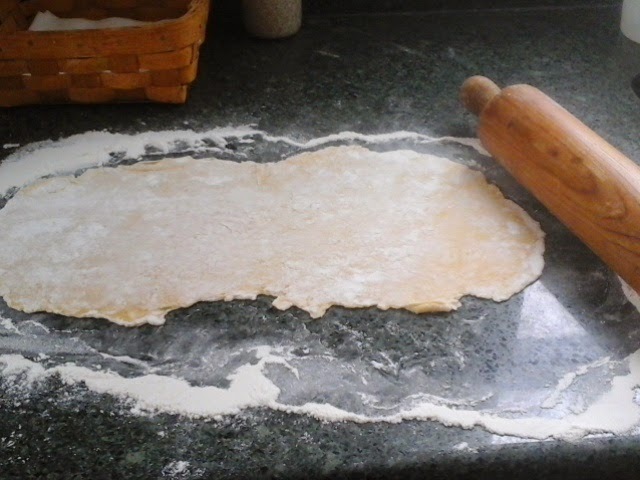 Ok, so today, I am making some good ol'chicken soup for a friend who is ill. At the risk of igniting the diet wars, I am making some homemade eggs noodles with, gasp, WHITE FLOUR, to go with the soup. Yes, all you paleo people, look away now. You have been warned. 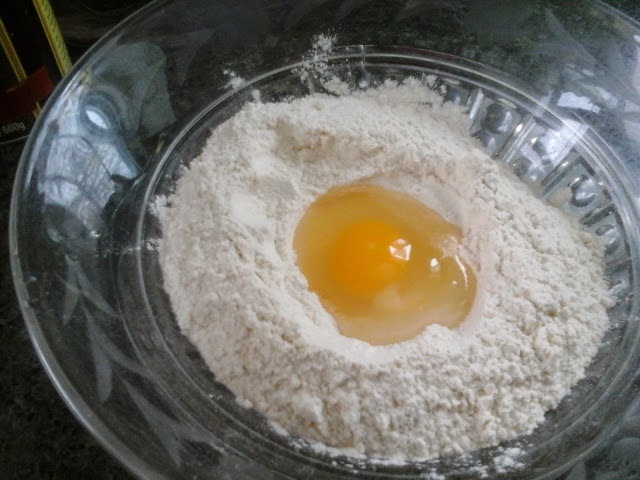 Though white flour is a substance that rarely makes its way to my kitchen, I am making healing comfort food. When you are sick, you want comfort food. this isnt food to eat every day. And in the big picture, it is barely a blip on the diet radar. 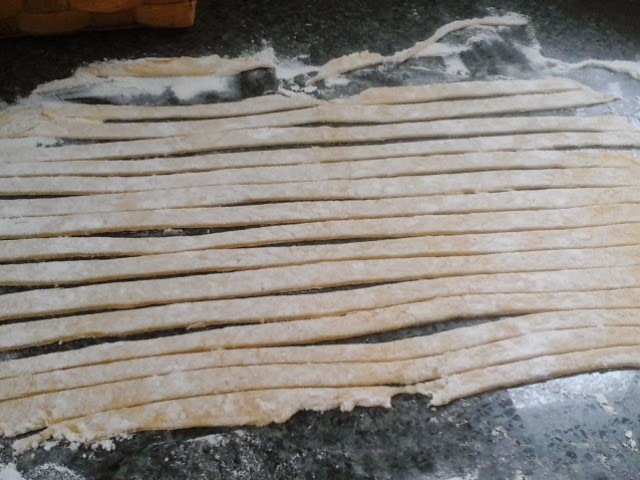 So, Here goes the homemade noodles. Or at least how I make 'em. 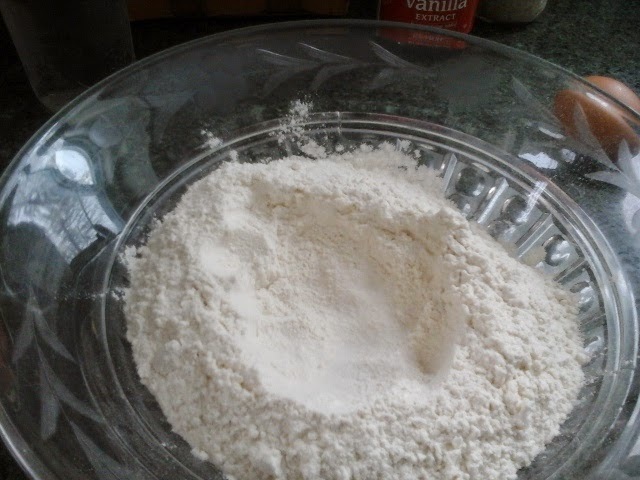 Start with some flour. I guess you could use some sprouted spelt flour for a slightly better nutrient profile, but you do need some gluten in there, so dont try this with gluten free mixes. I am not a precise measurer. 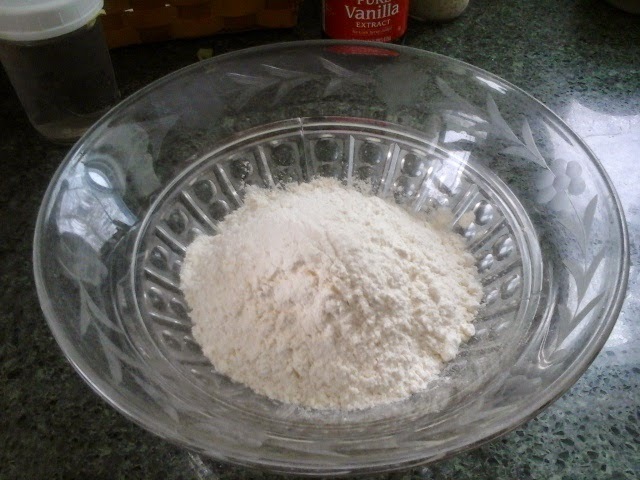 Start with about cup to cup and a half of flour. Add a little salt, of desired, and mix it in. Roll it out into a rectangĺe sort of shape. Roll it as thin as you can. Noodles will plump when cooked, so really work for a thin sheet here. Like, 1/16th of an inch. THIN, got it? cut into strips, as wide or narrow as you like. I just use a knife. A rolling pizza cutter would also work. Now you just need a place to let them dry for awhile. It can be almost anything. My folding clothes drying rack works great. You could hang them over the edges of a large box, or bowl... whatever you have. A plastic clothes hanger would work. Make do. That's all there is to it! 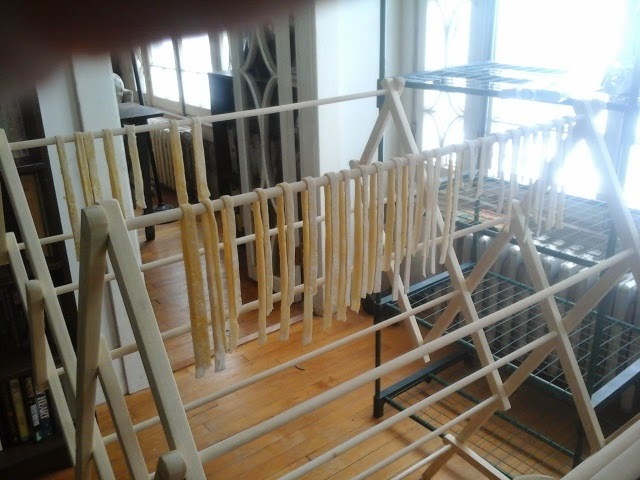 If you are using these right away, they dont need to be as dry as store bought pasta. just dry enough to break into pieces. If you want to store them, let them dry completely. why the vacuum? I had to pop over to the neighbors house while these were drying. With two dogs , I thought I better send a signal to leave the noodles alone. 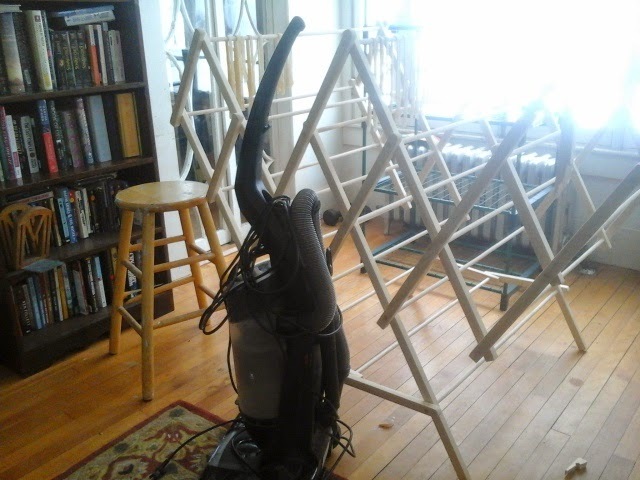 So the vacuum stands guard, because ( wait for it) " nature abhors a vacuum." Hahaha. In this case, its true. The dogs are both scared of it. The noodles were untouched when I returned. Break the noodles up and put into the boiling soup just before serving. Let simmer till tender. YUM! Next item for the homestead kitchen is on the other end of the whole food/nutrient dense spectrum. We aim for balance here! 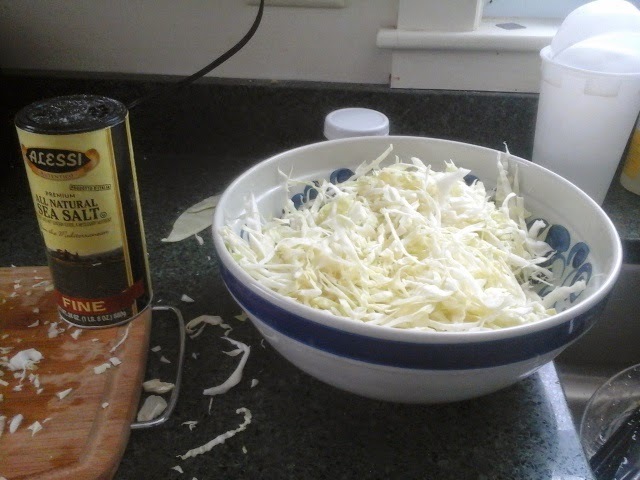 You may think you dont like sauerkraut, but I bet you have not had the real thing. store bought stuff that you use for your hot dogs-NOT the real thing. Real, honest to goodness sauerkraut is a living, fermented food full of excellent nutrients and packed full of probiotics. It is GOOD for you. And yummy, crunchy, tangy eat-it-right-out-of-the-jar delicious. SO hear is how I do it. You might want to give it a try. Start with an organic cabbage. Peel off the outer leaves, but keep one ( will explain later) . Rinse it well. The cut in half and cut out the core. 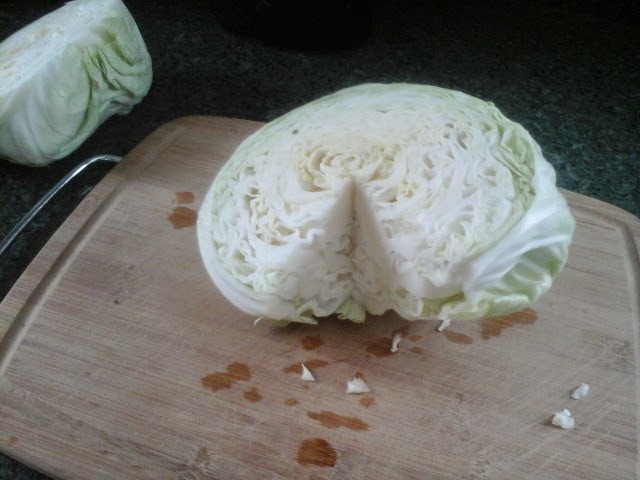 I put the sliced cabbage in a non reactive large bowl. Glass, enameled, ceramic are perfect. No aluminum, and stainless steel is ok, but I try to use something else. Add a bit of non iodozed sea salt. Some folks swear by kosher. 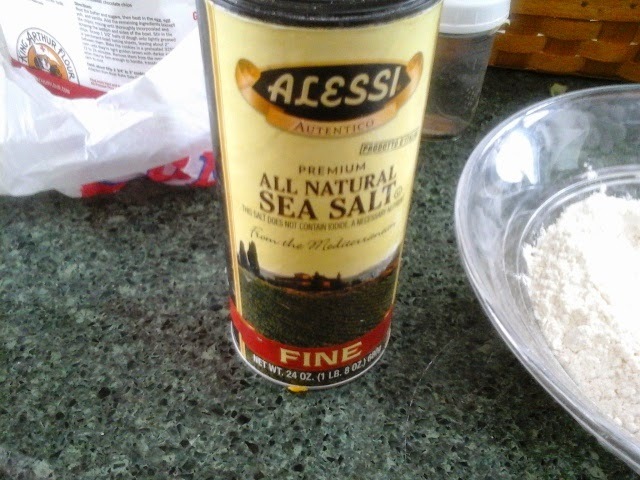 I just use the best non iodized salt I have. 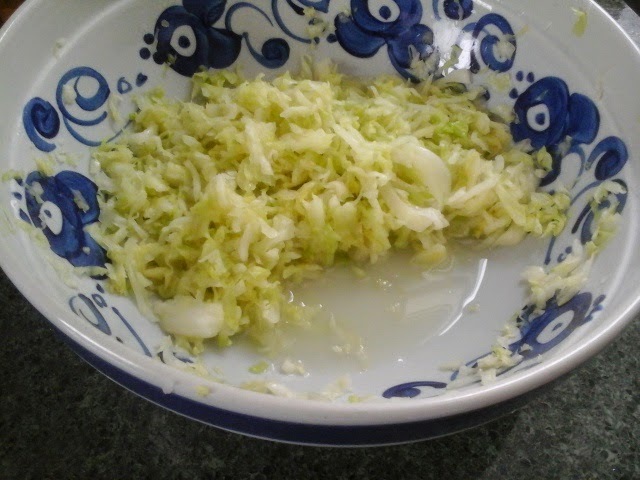 Sprinkle about a teaspoon to a teaspoon and a half and lightly toss the cabbage to mix it in. Then I go start a load of laundry, make a cup of tea, go vacuum the living room.... but leave it sitting for ten to thirty minutes. 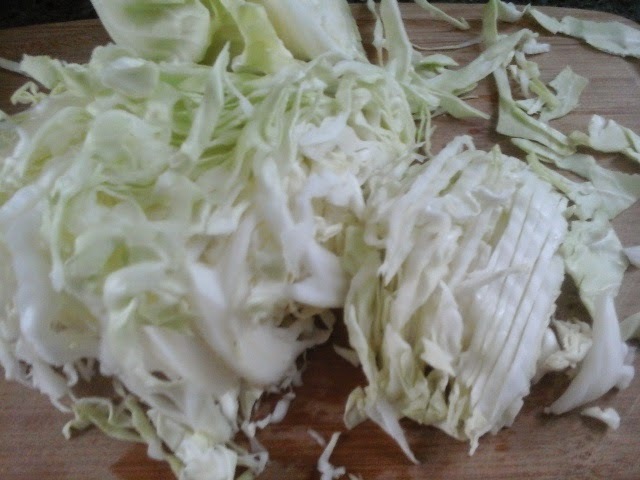 When I return, the salt will have wilted the cabbage and reduced its volume dramatically. It will have drawn the liquids out. The next step is to crush and pound the leaves even more to release even more liquid. The old traditional way was to stomp on it with (hopefully) very clean feet. Go for it if you want, or. just crush it with your hands, knuckles, etc. Can you see the liquid in the bowl? Now, you DID save that outer leaf didnt you? We will need that in a minute. 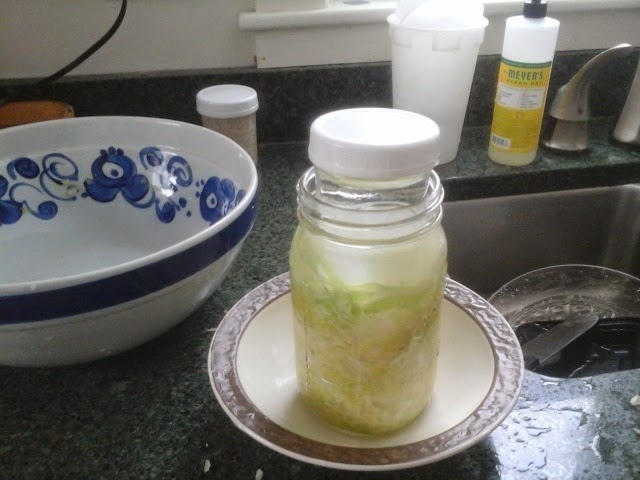 Pack the cabbage and liquid into a jar. 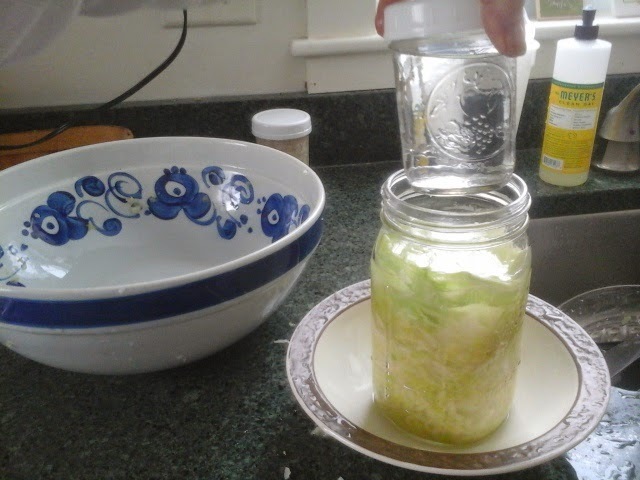 A quart sized canning jar is just right for the average size cabbage. Wide mouth is better. Here I have packed the cabbage tightly in the jar. AND HERES THE IMPORTANT THING TO REMEMBER IF YOU WANT TO MAKE YOUR OWN. EVERYTHING NEEDS TO BE SUBMERGED UNDER THE LIQUID. IF YOU DONT HAVE ENOUGH LIQUID TO COMPLETELY COVER ALL YOUR CABBAGE, MAKE SOME EXTRA BRINE BY MIXING A CUP OF WATER AND A SCANT TEASPOON OF SALT AND ADDING THAT TO THE JAR. 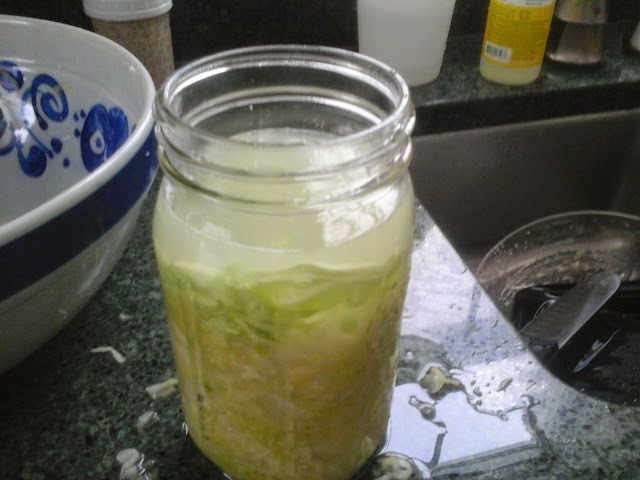 The reason is that the brine will protect the cabbage from any unwanted bacteria or mold. So this is where our spare leaf comes in. 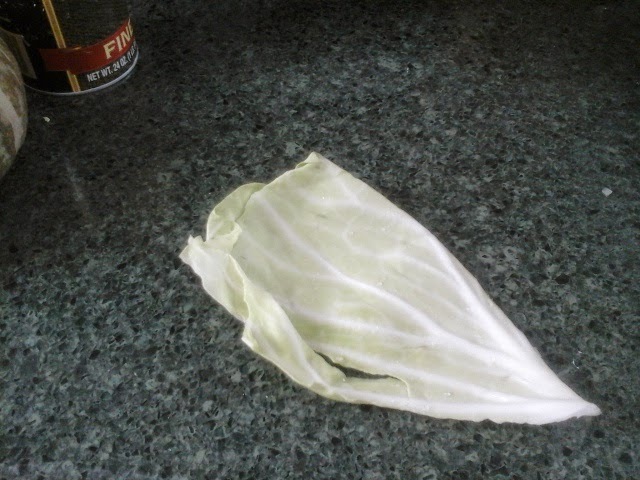 Take that leaf, and put it in the jar on top of the cut up cabbage. It will contain all those little pieces of cabbage that want to float. Push the leaf under the brine too. To hold it all down, I need a weight of some sort (again, nothing metal). A half pint canning jar with water in it works just great. Here I am trying to hold my tablet and take a picture of me putting the little jar in my big jar. Harder than you think. 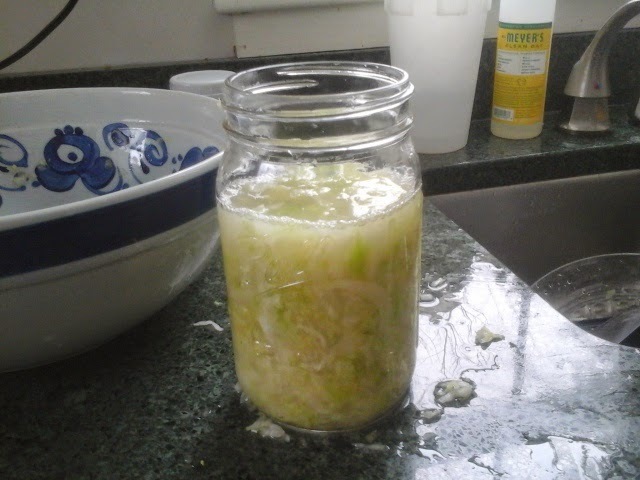 And here is the jar of soon to be sauerkraut. The fermentation process might cause a little overflow, so I always put my jar in a bowl. Now, I just put it in a dark place, like a cupboard or cabinet. in 3-4 days, it is usually ready to eat. This kind of sauerkraut is a living, fermented food that is a great way to get probiotics. And any vegetable can be done this way. In fact, if I added jot pepper, ginger, carrots, garlic, etc.... I would be making Kimchee, which Koreans eat every day as a side dish. Fermented foods work WITH nature, and are also a traditional way to preserve foods without needing refrigeration. Weather: a heat wave! 6 degrees this morning, all the way up to 32! Cloudy, a few snow sprinkles. Wildlife. Emmet and will were back today.